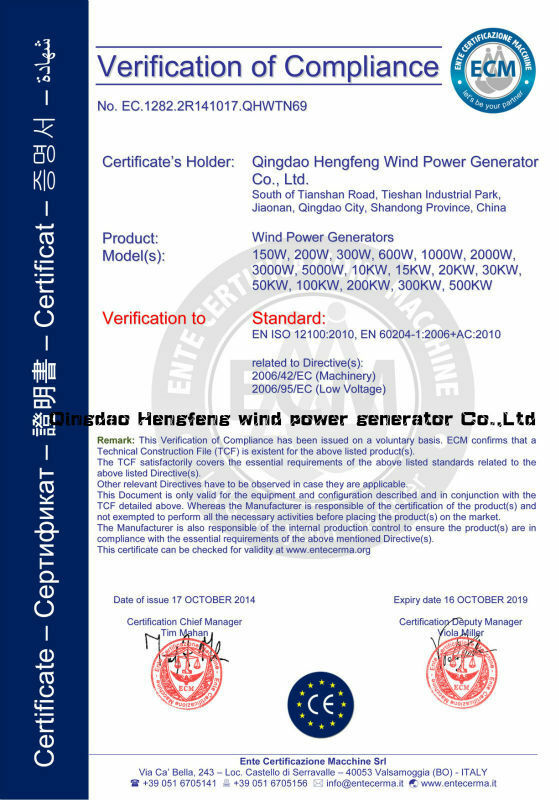 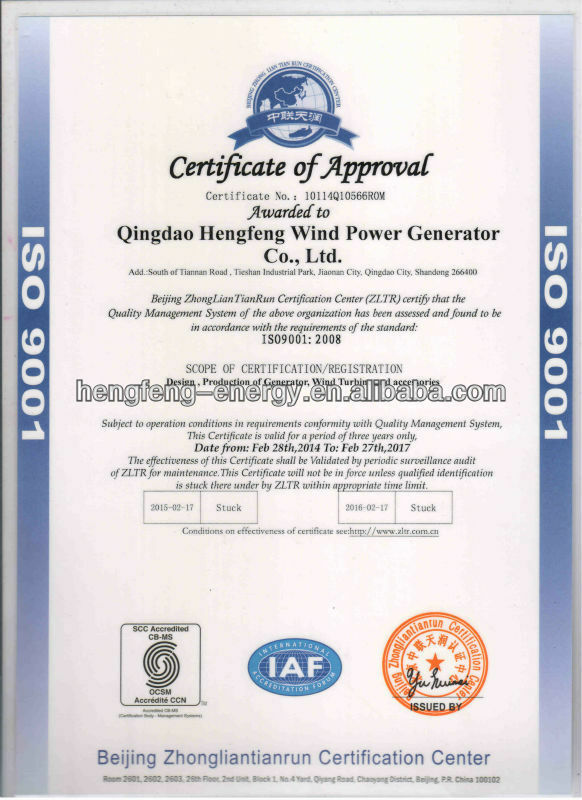 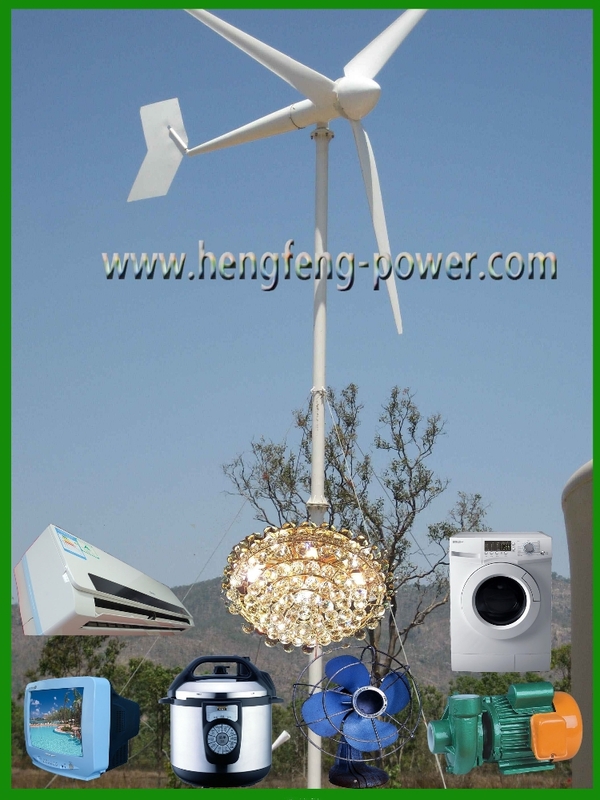 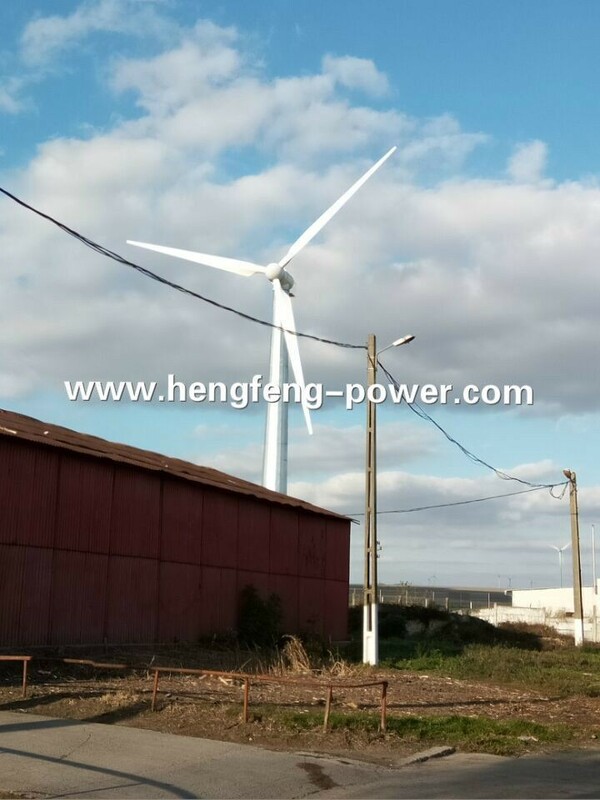 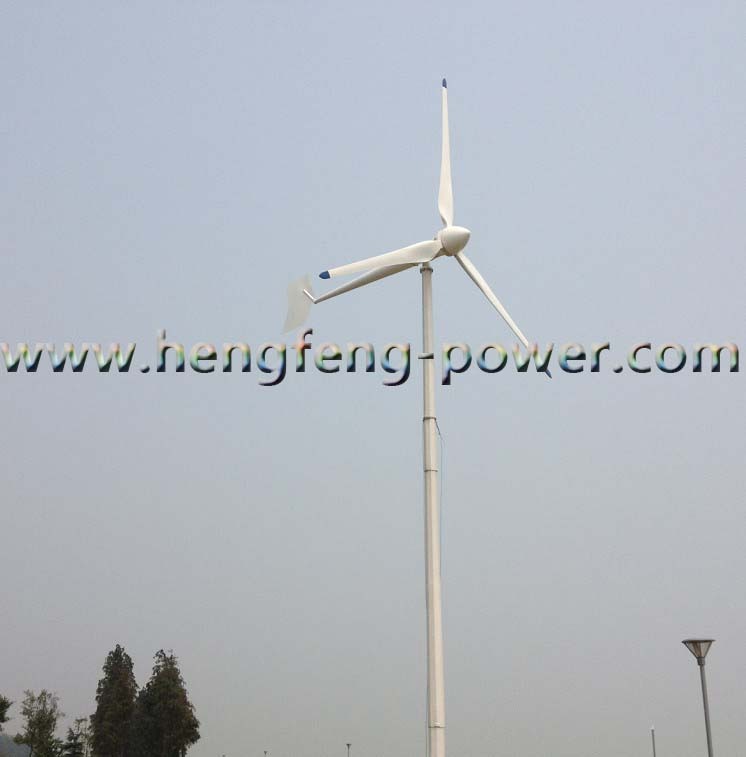 HF57.0-500KW Wind turbine is developed by professional Qingdao Hengfeng.This model output stablevoltage.The automatic brake would protect the whole system when the battery is full or lack of voltage.HF57.0-500KW is a good choice for your household. 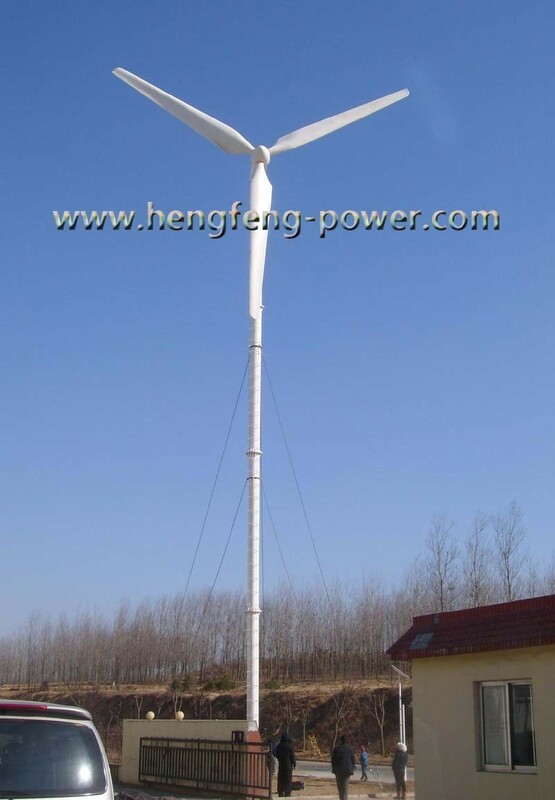 1) Simple structure in horizontal axis type ,easy in installation and maintation. 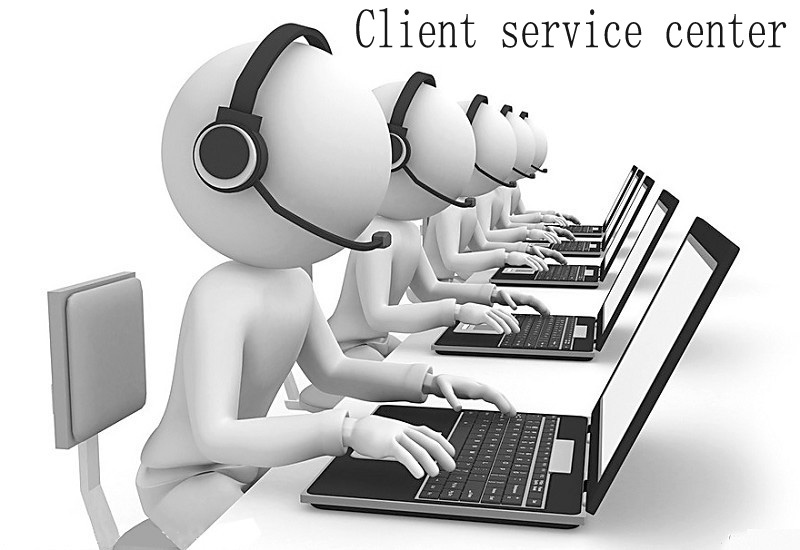 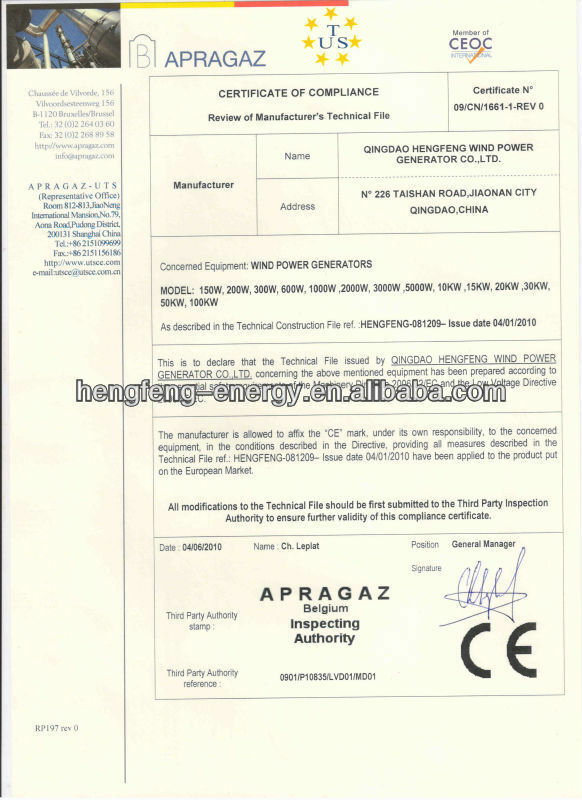 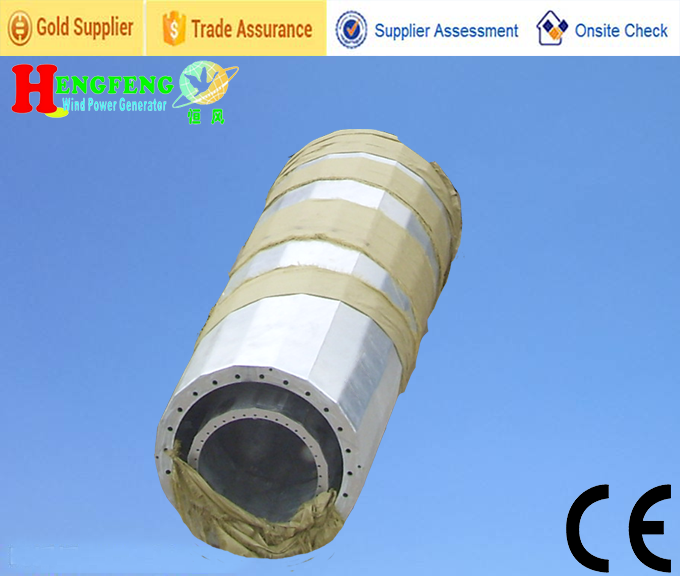 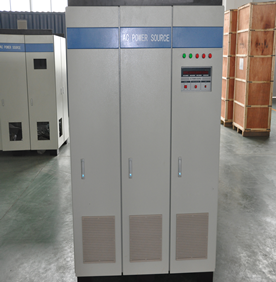 2) Adopting advanced high quality components ,electric parts and operation parts. 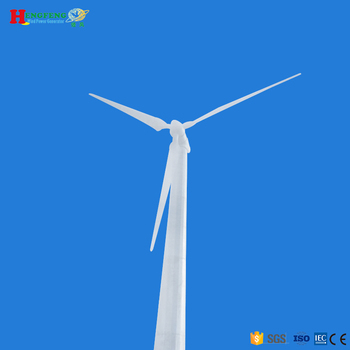 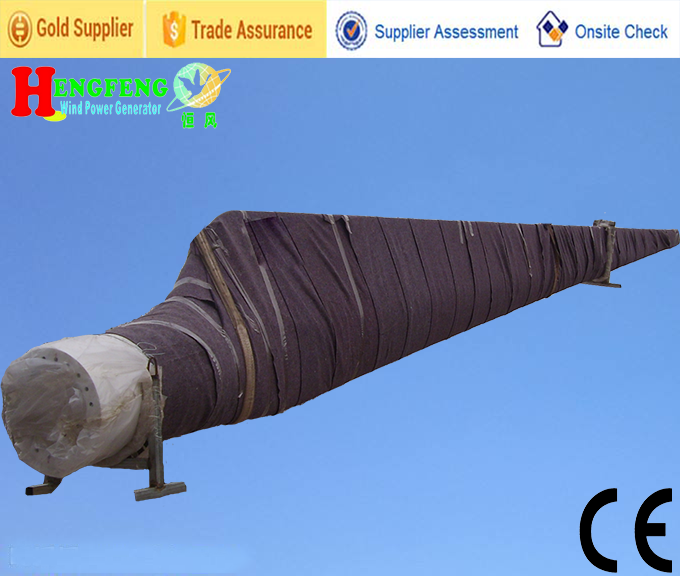 4) As manufacturer of wind turbine more than ten years, we have professional engineers to design any wind turbine , solar panels, wind sloar hybrid system and so on as your requireents. 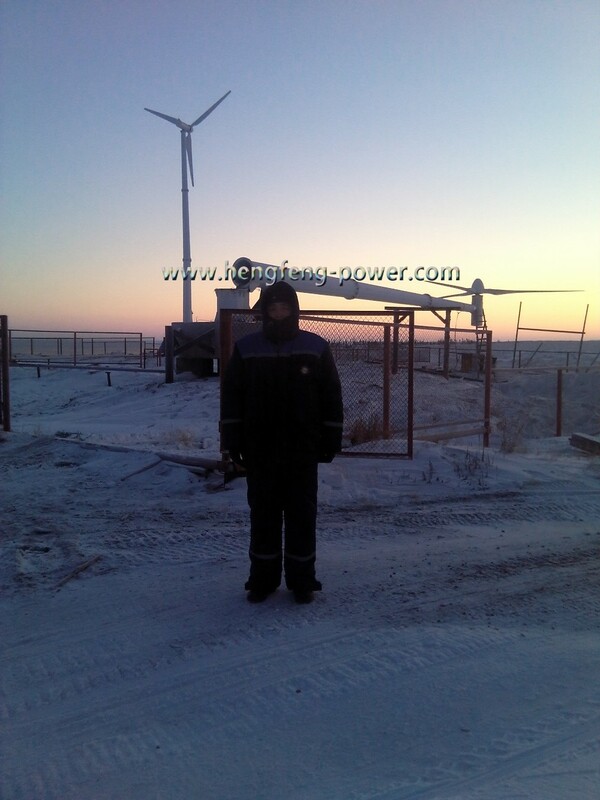 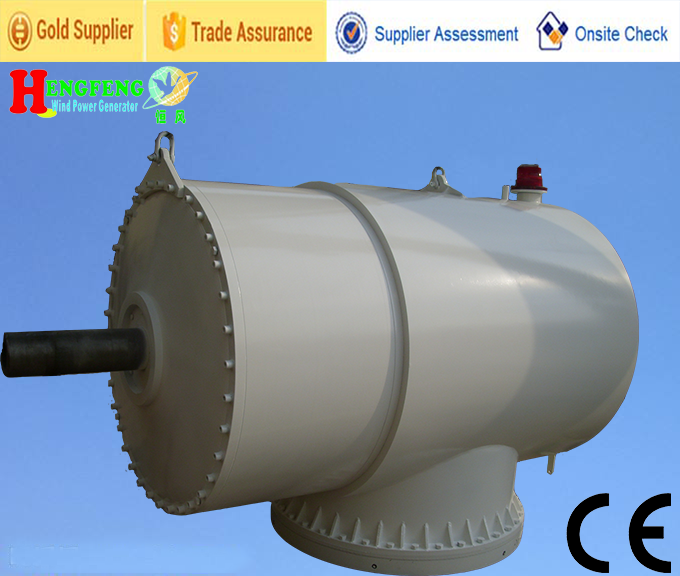 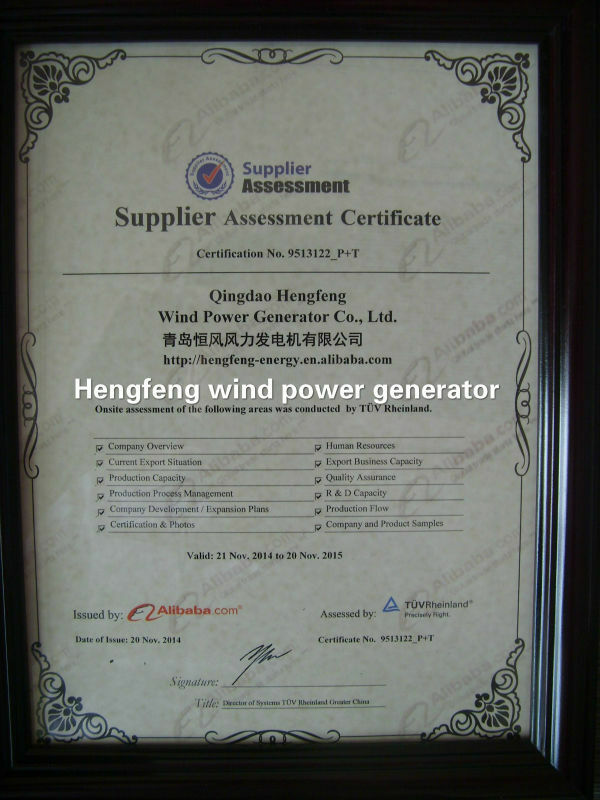 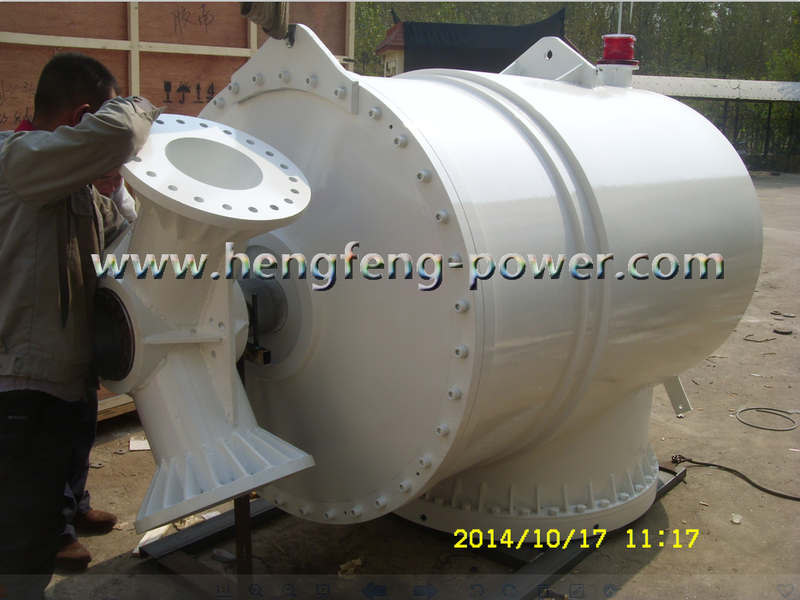 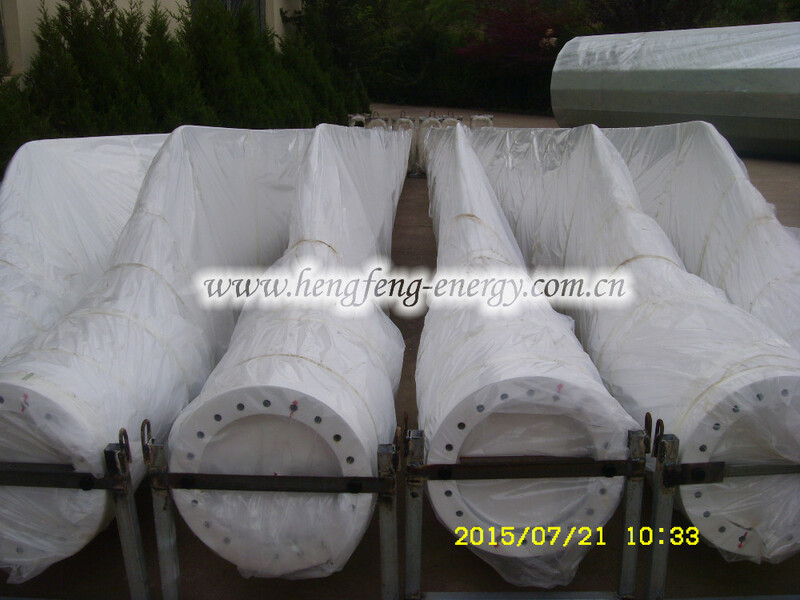 The capacity of the generator is 85%, it is the highest capacity on wind turbine market. 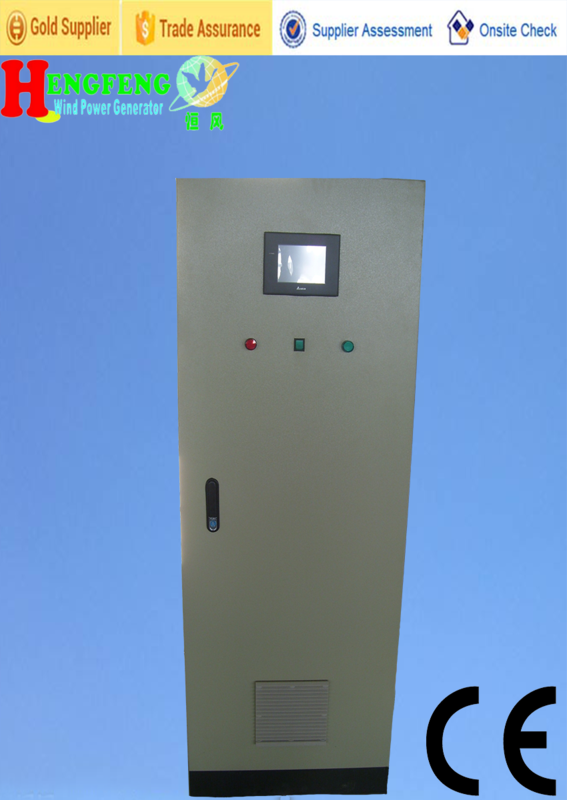 The controller is designed by our company, it have CE certificate, PWM control system, high efficiency.